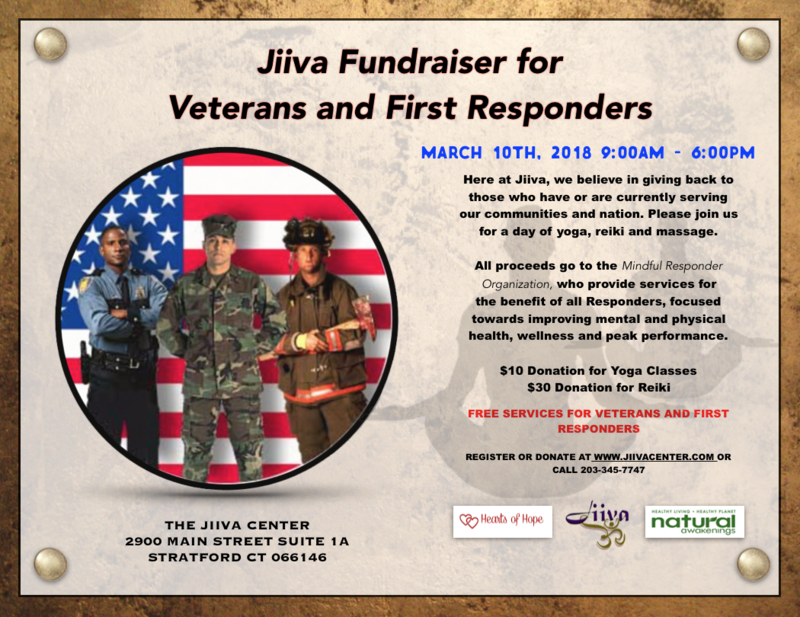 Here at Jiiva, we believe in giving back to those who have or are currently serving our communities and nation. Please join us for a day of yoga, reiki and massage. All proceeds go to the Mindful Responders Organization, who provide services for the benefit of all Responders, focused towards improving mental and physical health, wellness and peak performance.